Developed by The Warhol in close collaboration with the artist, the exhibition will focus on three important bodies of work: “Requiem” in which Morimura recreates iconic photographs relating to political and cultural life; the “Actors” series in which he assumes the persona of Hollywood luminaries such as Marilyn Monroe and Elizabeth Taylor; and his “Art History” photographs in which he painstakingly restages well known European paintings. Morimura’s fascination with the self-portrait, celebrity, gay and transgendered life, art history, and popular culture align him closely with the work of Andy Warhol. The artist has described himself as Warhol’s “conceptual son”. 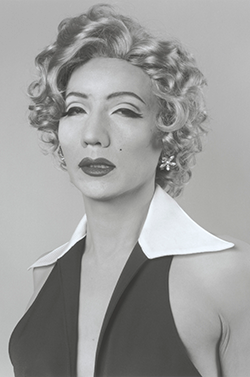 Yasumasa Morimura: Theater of the Self is made possible through the generous support of The Japan Foundation.